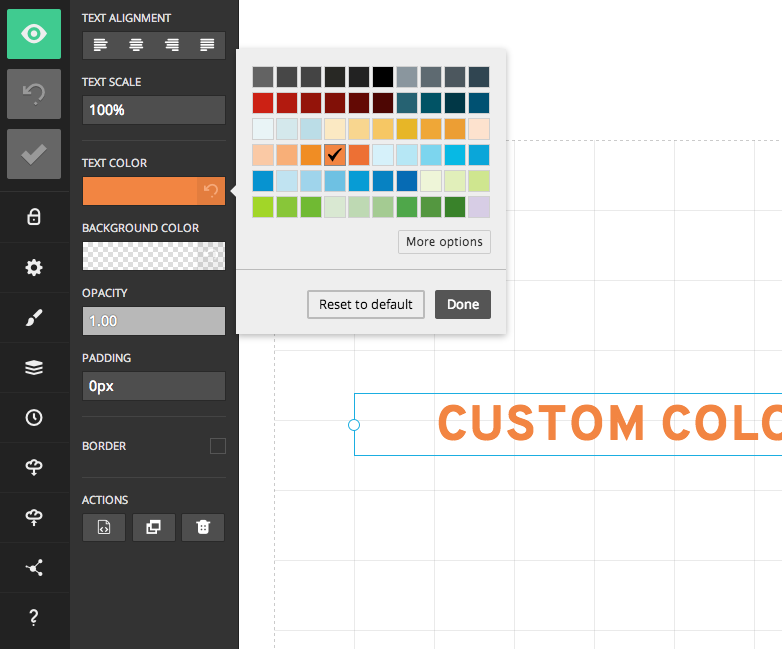 Wherever you get to choose a color in the Slides editor you are presented with a color picker tool. 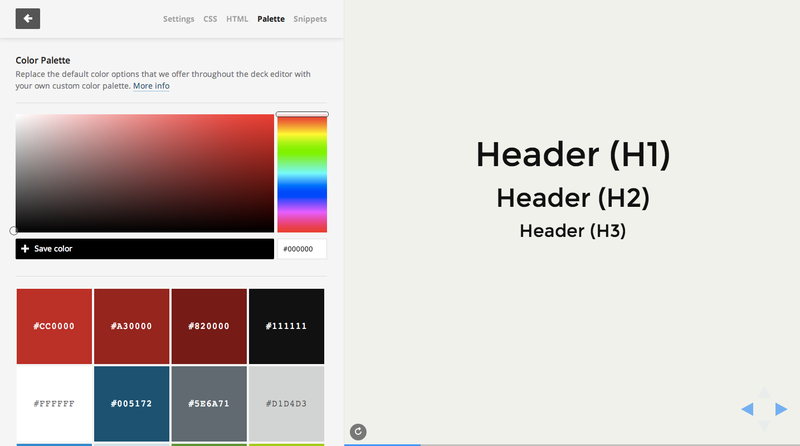 As part of this tool you can choose from a preset color palette. This palette can optionally be customized with your own set of colors based on the active theme which is a great way to help team members stick to your intended color scheme. To define a custom palette start by opening the theme editor and clicking the "Palette" tab in the top right. Once there you can pick the color you want and press the "Save color" button to store it. The tiles in the bottom of the page represent colors that you have saved. They can be reordered via drag and drop. When a theme with a custom palette is used, that palette will replace all default options. Team members can still pick a custom color by pressing the "More options" button.